If it were any other plant, it would be front page news. But we are dealing with a plant that people have assigned certain values to, certain perceptions. However studies are continuously showing that Cannabis cures cancer. Pretty big deal. Mostly it’s the former cancer patients that used the extracted oil from the plant to save their lives are speaking out and leading the medical marijuana movement in this country. Even considering there has always been resistance against this plant, it is undeniable that billions of dollars lay in the balance. Hemp, Cannabis, or Marijuana, is just so useful, that it can be speculated that the reason people don’t know about it, because the industry charges lots of money for ineffective tumor treatment (such as cyclotrons and radiation and chemo for cancer patients). Even in medical states the system doesn’t let patients grow their own medicine. Hemp endangers the income streams of the timber industry and the titans that own the land the timber is on. Full Cannabis Extract endangers the “cancer research” industry, and Marijuana endangers the profits of the drug lords, police and drug enforcement budgets across the country. And the plants the natural remedy is endangering the “chronic pain” industry. So there is quite an entrenched body against the legalization. 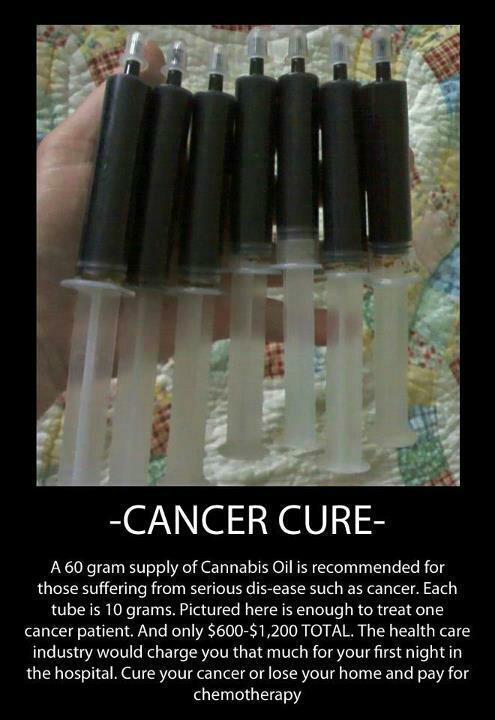 If Cannabis Cures Cancer WHY Are We Running From The Cure? Scientists and doctors have not found a cure for cancer and instead simply prescribe treatments. In actuality, outside of the medical industry, actual citizens have discovered that there IS a cure for cancer. It is highly unlikely that the medical industry is unaware of these constantly growing stories of people surviving cancer through cure, and its upsetting that those who you think would be SHARING this cure are actually keeping it from you and anyone who is currently suffering from cancer. Feel free to read about who has created the cure, how to make your own cancer curing recipe AT HOME and what you can do to help others who are currently suffering from this terrible disease the ability to REVERSE the damage starting RIGHT NOW. What Is Rick Simpson Hemp Oil? There are a few terms used to describe the cancer erasing Rick Simpson oil but it is best known as Phoenix Tears. For those new to medical marijuana, cannabis plant juicing and making oil extractions using marijuana plants keep reading. Rick Simpson has been fighting to get his Phoenix Tears recipe out to the general public. Not for a profit, but for the benefit of everyone who is willing to read, listen and implement the regiment in their own lives and others who might be affected by cancer or other chronic disease. The below is the exact recipe so you can make your own and share the recipe with others you know who have cancer in their families. I think by now most of us know someone who is currently suffering from cancer as well as sadly lost a family member or friend to this curable disease. 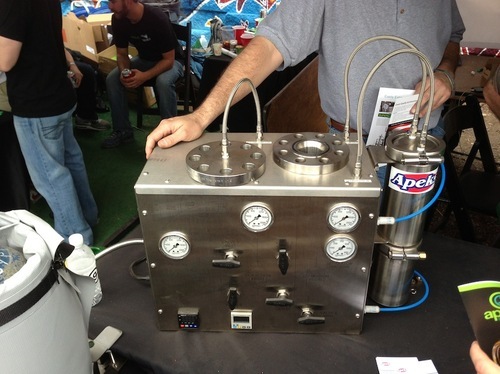 CO2 hash oil extraction machine. One pound of very dry high quality cannabis material will usually produce 55 to 60 grams of high grade Rick Simpsons’ cannabis oil. This amount of oil will usually cure most serious cancers unless the patient has been badly damaged by undergoing chemotherapy and radiation treatments. Sometimes such patients will require 120 to 180 grams to reverse the damage from all the chemo-therapy and radiation. Once the patient is cured and all the damage has been undone, Rick Simpson recommends that they continue to take a maintenance dose of about 1 gram per month to maintain good health and we here at TWB agree fully with that assessment. A small amount of oil about half the size of a piece of short grained dry rice three times a day is a good beginning. After four days double the amount you are taking per dose and try to continue to do so every four days there after. Until you have reached the point where you can ingest one third of a gram per day. 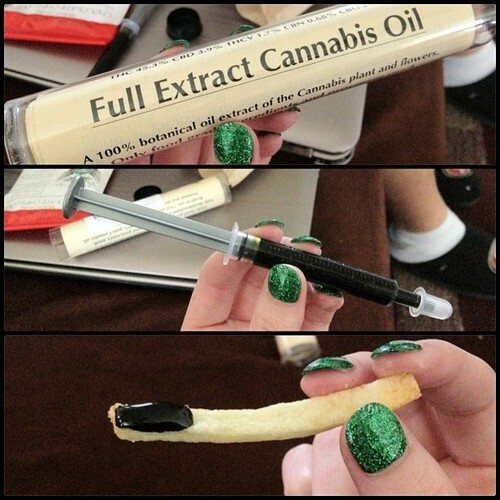 Taking the oil in this manner in the beginning allows the patient the ability to build up their tolerance for this substance. Some people soon acquire a very high tolerance and I always tell patients the faster you can take it the sooner you will be cured. Rick once had an eighty two year old man who was ingesting 2 full grams a day, who was still going to town everyday and no one could even tell he was taking it. In cases where people are taking strong and dangerous pain medications like morphine he recommends that they begin treatment by taking doses about the size of a grain of short grained dry rice. The idea is to increase their doses as quickly as possible to get off the dangerous pain medications and let the oil take the place to provide pain relief and in an actual healthy manner. High quality hemp oil from the proper strains can stop pain that even morphine has no effect on, also this oil can be applied to external injuries for pain relief in minutes. There really isn’t a better cure for cancer and now you know how to make it so SPREAD THIS INFORMATION to anyone and everyone you meet whether online, in person or at work. Why Is This Miracle Cure Being Hidden From The Public? If it were any other plant, it would be front page news. But we are dealing with a plant that people have assigned certain values to, certain perceptions or rather misconceptions. Get ready for a new one, because this is MEDICINE. Cannabis can and has cured cancer and it is a BIG DEAL even if the main stream media pretends as if it isn’t. Mostly, the former cancer patients that used the extracted oil from the plant to save their lives are speaking out and making a medical marijuana movement in this country. This movement is filled with blue collar, white collar, young and old alike. There has always been resistance against this plant due to its ability to CURE ailments and diseases versus simply treating or slowing them down like the prescription drugs and their manufacture. Most of the big cancer centers, doctors and drug manufacturers KNOW that Hemp, Cannabis, or Marijuana (whatever you want to call it) is just too useful to let people know about it or let them grow their own medicine. Why CURE cancer when you can charge lots of money for ineffective tumor treatment (such as cyclotrons and radiation and chemo for cancer patients). Hemp endangers the income streams of the timber industry and the titans that own the land the timber is on. Full Cannabis Extract endangers the “cancer research” industry, and Marijuana endangers the profits of the drug lords, police and drug enforcement budgets across the country. There is quite an entrenched body against the legalization of this plant and it is time that we all STOOD UP and said enough is enough! There seems to be new videos proving that cannabis can and will cure cancer popping up daily yet the suppression of the data, evidence and even the survivors seems to never hit the main stream even though it can save COUNTLESS lives. Many feel that if they disclose that they not only believe in the medicinal benefits of Rick Simpson oil and other forms of this amazing medicine that they might be shunned from friends, family and even FIRED from their careers. Below are just a handful of videos that will hopefully allow YOU to realize just how important this plant is and what it can do for the bodies of young and old alike. Cancer is just one of the countless ailments that phoenix tears (Rick Simpson oil ) can and has cured and needs to be THROWN into the media limelight as much as possible. Anything that you can do to spread this message will not only help you but others who are fighting hard to get this information seen by as many people as possible. myself from infertility, i opted for radiation treatment instead of chemotherapy. All was well for a short while, but two years the cancer returned. Two weeks before my wedding, my doctors gave the bleak diagnosis: stage four breast cancer with six to nine months left to live. It appeared my fight was over. Kristine, I am so grateful to Rick for providing me with Cannabis oil here in the United State of America. I was diagnose with breast cancer 4 years ago, and ever since i have done a lot of Chemo and Radiation that have not helped me, but only damaged my immune system and render it weak and helpless. I came across the Phoenix Tears and i have read about the Rick Simpson Cannabis oil a lot and saw that he could provide me with Cannabis Oil here in the State, i contact him on simpsoncannabisoilcarecenter@gmail.com for the procurement of this medication, to my surprise the medication was procured and delivered within 48 hours and i have been on treatment for the past 3 months. I have experience a total transformation in my health sector with Rick Simpson Cannabis oil service.my special appreciation goes to God almighty for using Dr Burton to come my aid via simpsoncannabisiolcarecenter@gmail.com. effects on cancer I couldn’t believe it…..
his 60 checkup they considered him remission. 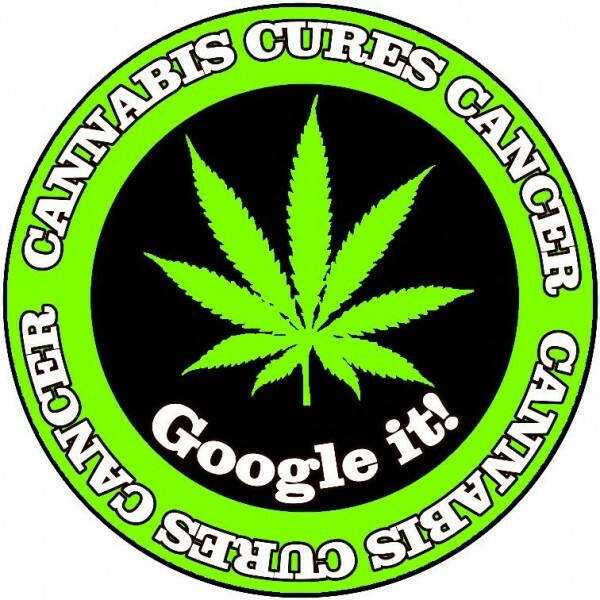 information on cannabis and cancer by providing it all in one place via simpsoncannabisoilcarecenter@gmail.com. I want people who are suffering from any kind of cancer to do research on cannabis oil and its effectiveness.i was diagnose of lung cancer May 12th 2013 and i have done surgeries for treatment and it did not work until i heard about cannabis oil and i decided to use it for treatment,i contacted the UK cancer research centre via their email and the cannabis was delivered to me and i was informed by the research centre on how to use the cannabis oil for treatment,after using the oil for treatment for 90 days,i felt different then i went for to see the doctor and i was told that i am no longer suffering from cancer. When I was six months pregnant, my husband and I went to do an ultrasound and found out that out that my husband has been diagnose with colon cancer with diabetes, mental retardation and seizure. My midwife even told me that this is not a healthy situation for my husband as he could be lost in the process and that my baby is not going to live here on earth without a father on his side. I was so depressed after the news. I don’t know what to do so I began search for help, to pray every day and ask so many online prayer chain to keep me in their prayers. I have read so many miracles stories about the Rick Simpson Cannabis Oil after a great video from youtube and from this website and other websites it has encourage me a lot. I put all my faith in the hand of god and So I started my husband on the Rick Simpson Cannabis Oil after purchase from ricksimpsonoilcancercure1@gmail.com through out my pregnancy God has showed me in so many ways that everything is going to be okay. I ask god to heal the father of my baby that I’m carrying and I promised god that if he heal the father of my baby I will testify his name and his love for me. So finally on January 1st 2014, my husband test scan result came out that his cancer, diabetes, mental retardation and seizure has all be cured with Rick Simpson Cannabis oil: ricksimpsonoilcancercure1@gmail.com. Whoa after hearing this news, labor came and the baby come out crying. He was the most beautiful baby ever I was so happy to hear his voice cause that tells me that his father is OK to stand by his side here on earth. So the next week the doctors did test on him and can not find anything wrong with the father of my baby. He is so healthy so smart and his vision is perfect thanks to the lord our father in heaven. I named him Criston meaning the follower of Jesus Christ. Let’s praise our God the one who created heaven and earth for giving Rick Simpson the will and strengthen in fighting this battle!!! ricksimpsonoilcancercure1@gmail.com saved the father of my son. Thank God Almighty that lead me to Rick who with his humanitarian heart help my Daughter that had cancer of the breast with his Hemp Oil. I am so grateful that my 21 years old daughter is back alive and healthy and can do all this thing she like without any hindrance in his life. Rick Simpson, your medication is the only cure for cancer, tumor and from the bottom of my heart, I sincerely say you are the best and i will always give thanks to God for you to have long life so you can help many more people on earth with your medical service to humanity. with you i now believe that the Hemp Oil is real and True, for all those who have problem relating to cancer and other diseases should contact Rick Simpson on: ricksimpsonoilfoundation@gmail.com Shaila Miller.